›Posterazzi SAL999483 Moses Strikes the Rock James J. Tissot 1836-1902 French Jewish Museum New York Poster Print - 18 x 24 in. Posterazzi SAL999483 Moses Strikes the Rock James J. Tissot 1836-1902 French Jewish Museum New York Poster Print - 18 x 24 in. 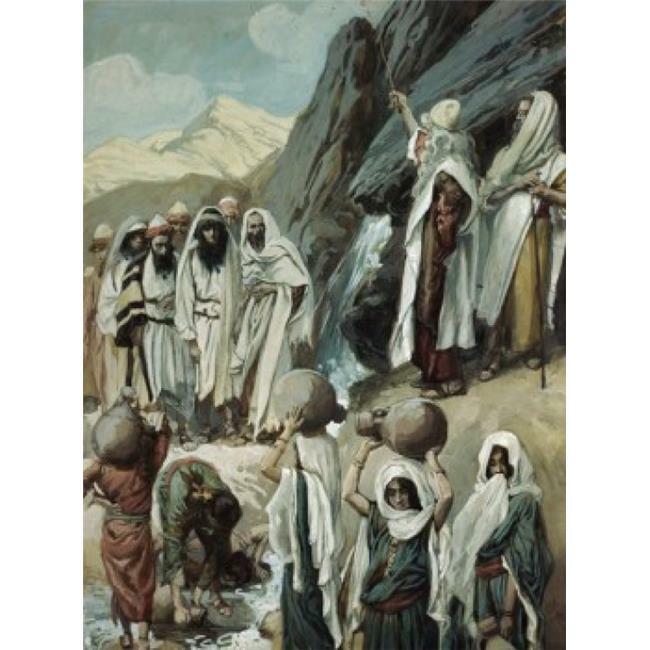 Moses Strikes the Rock James J. Tissot Jewish Museum New York Poster Print is a licensed reproduction that was printed on Premium Heavy Stock Paper which captures all of the vivid colors and details of the original. Go old school and hang this poster dorm room style with poster putty or frame it to create a classic presentation ! Wonderful poster for any apartment or home.